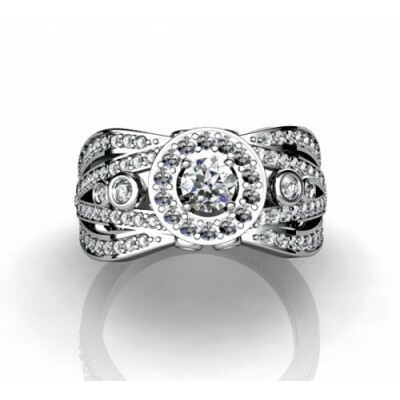 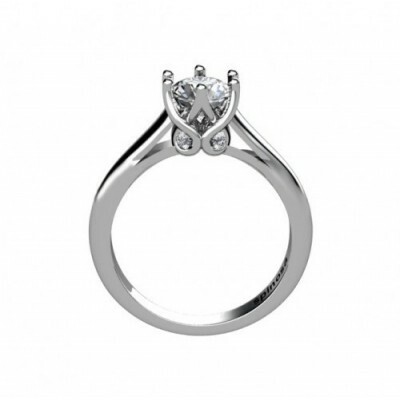 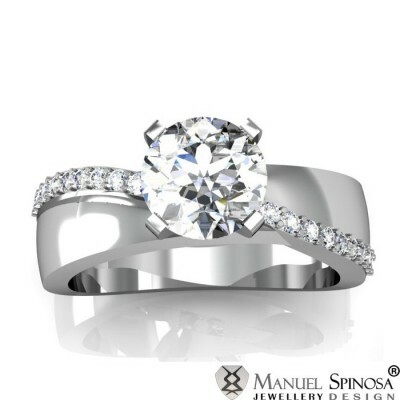 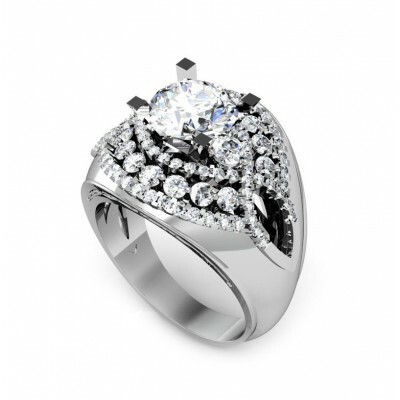 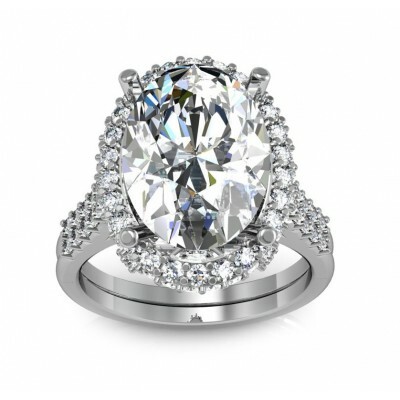 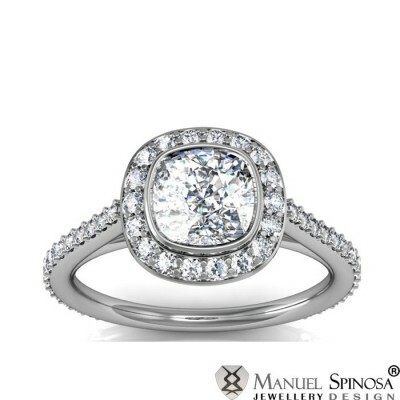 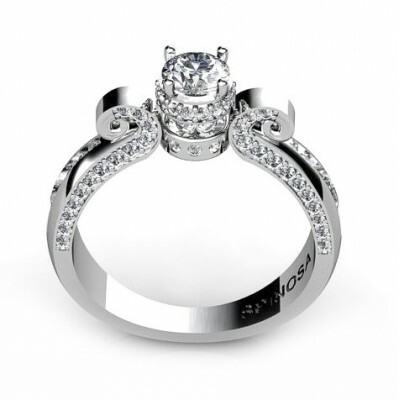 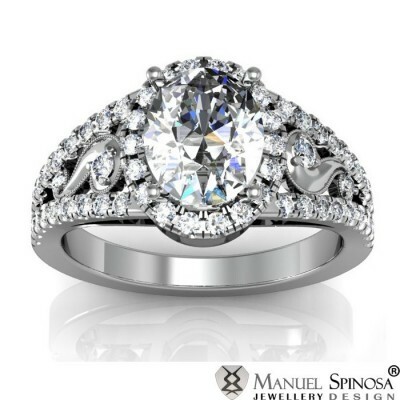 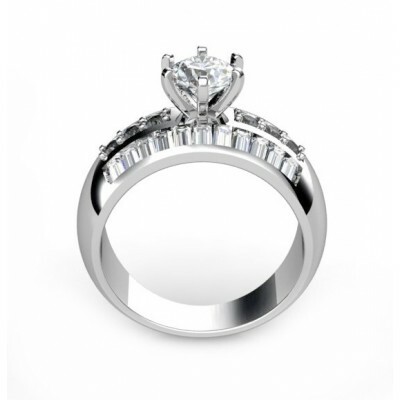 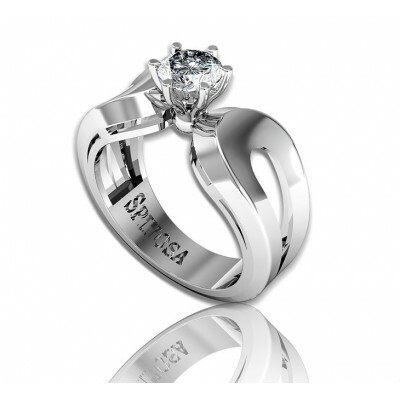 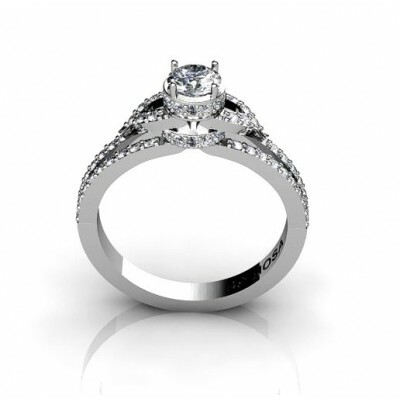 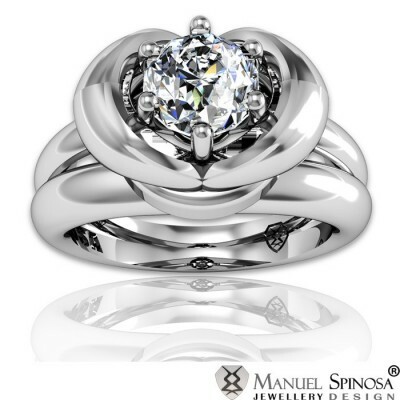 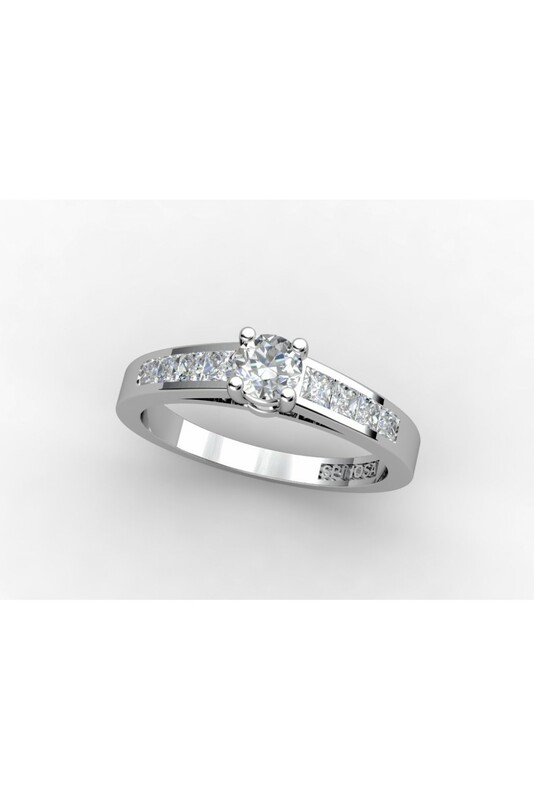 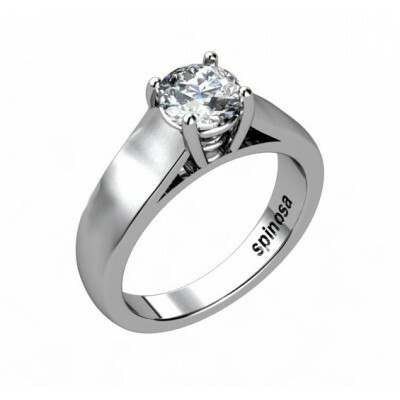 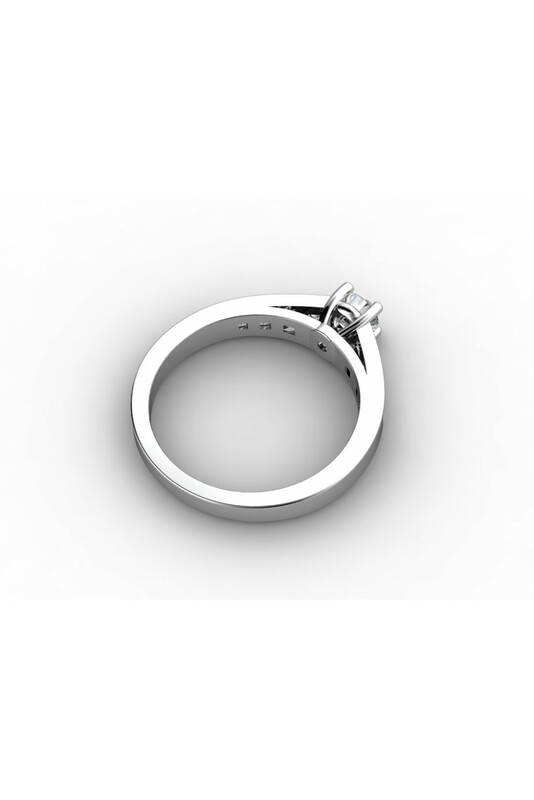 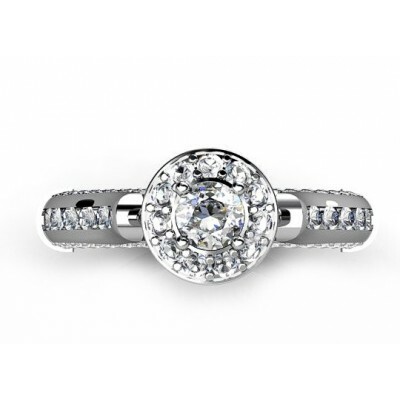 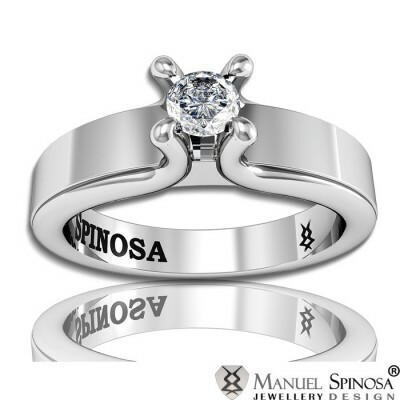 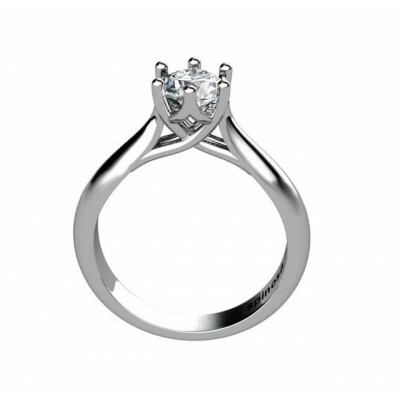 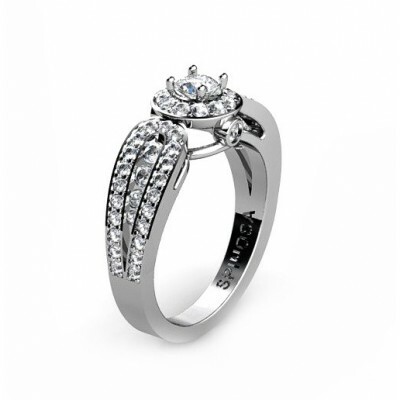 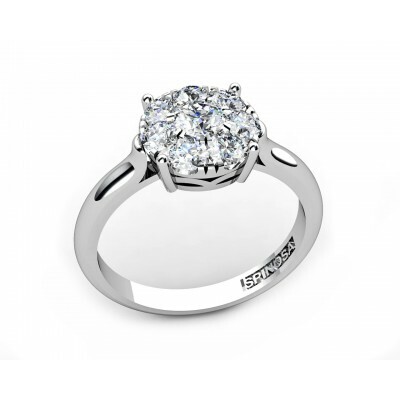 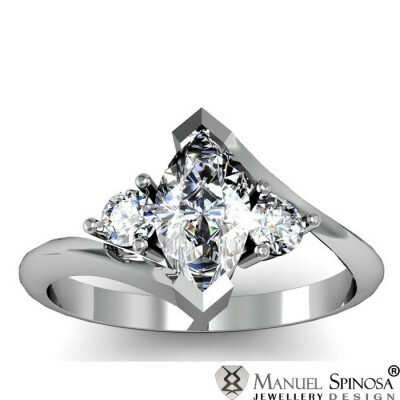 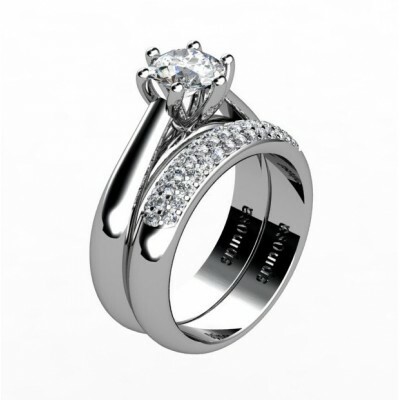 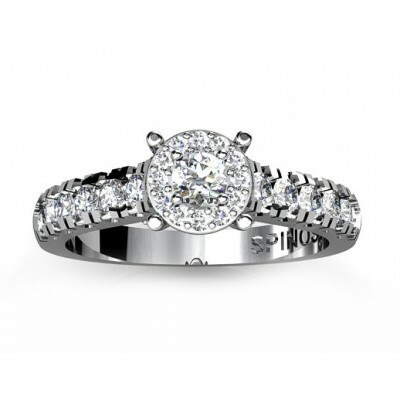 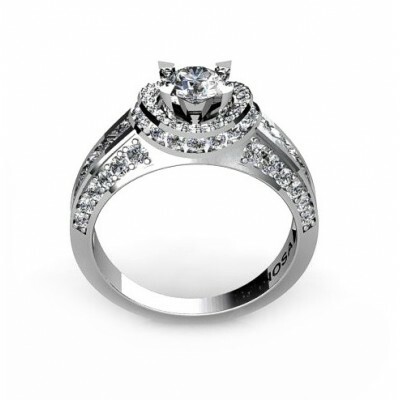 18k white gold solitaire engagement ring. 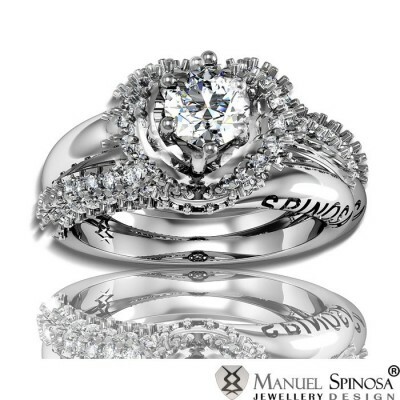 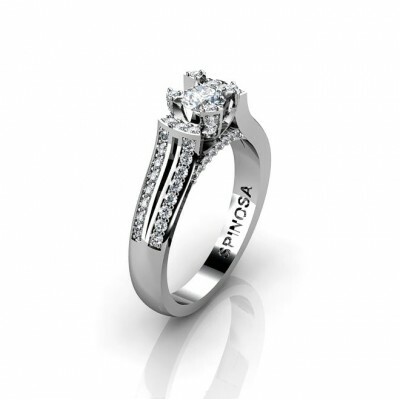 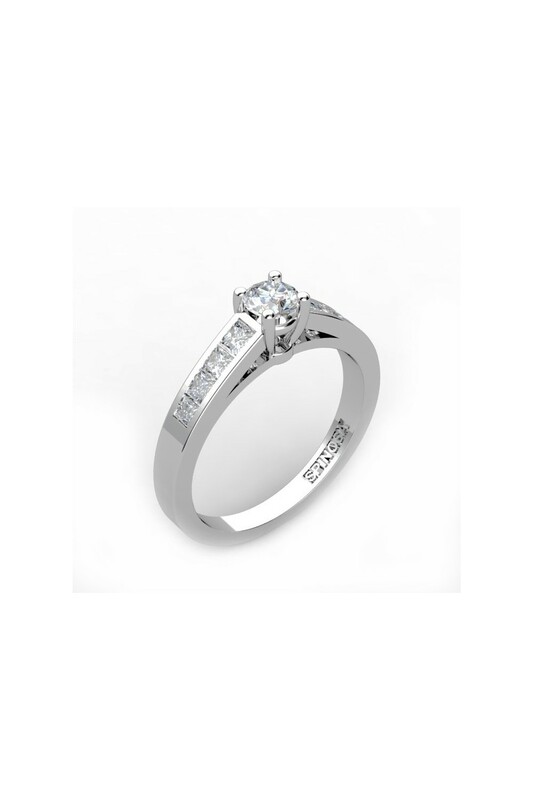 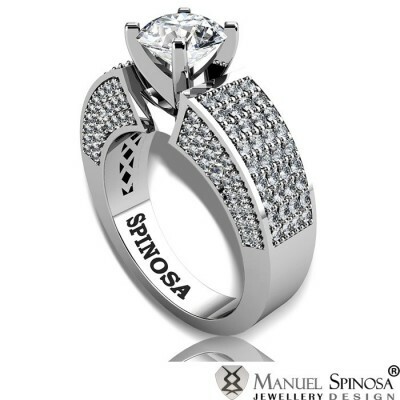 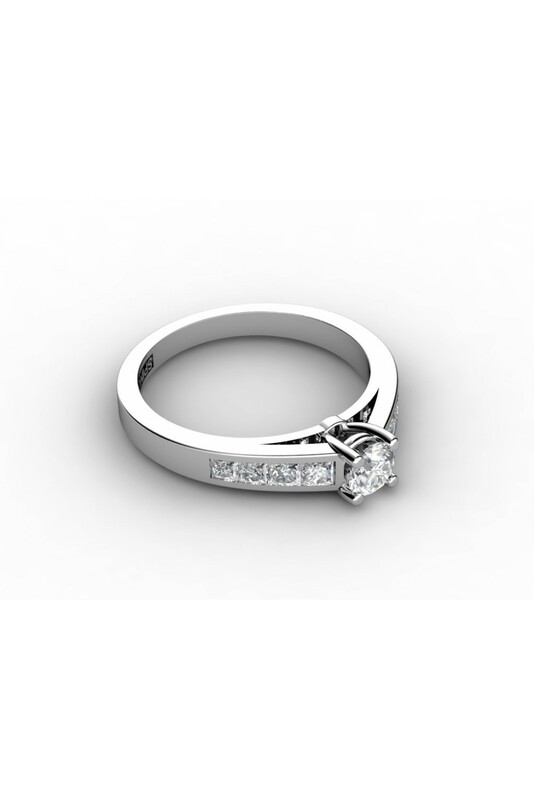 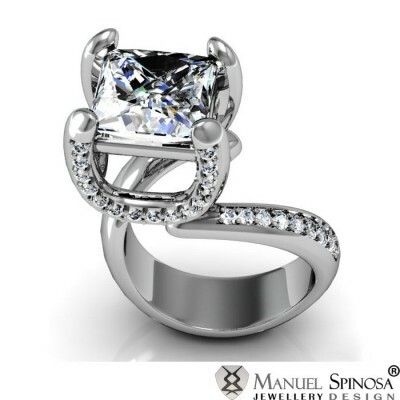 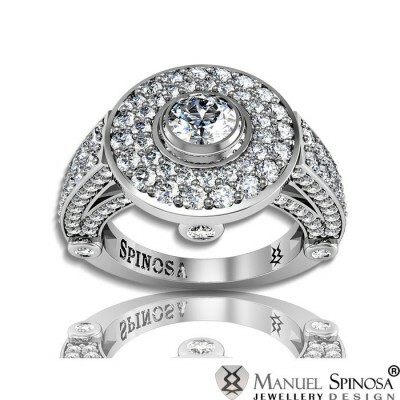 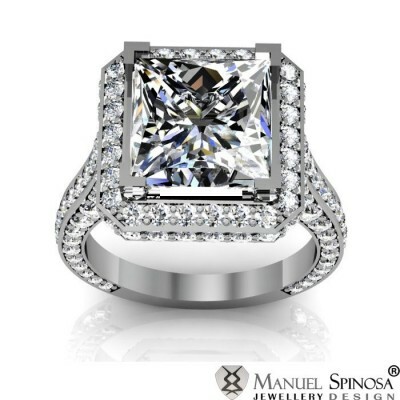 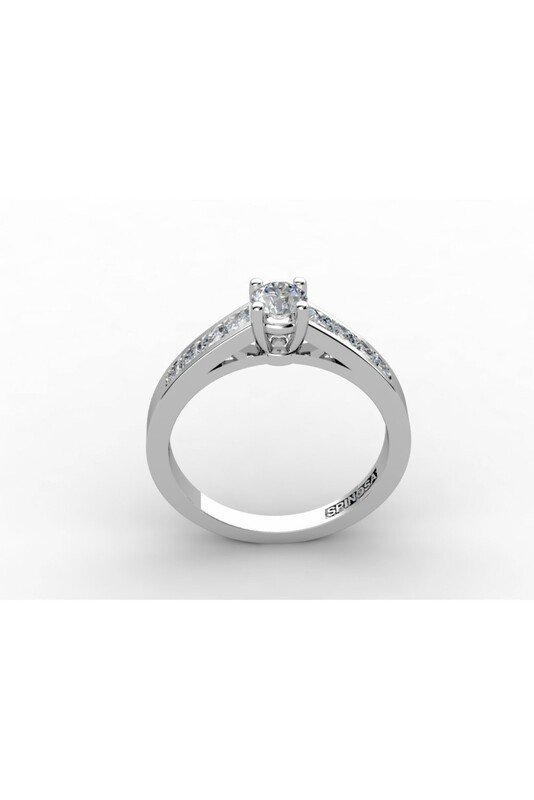 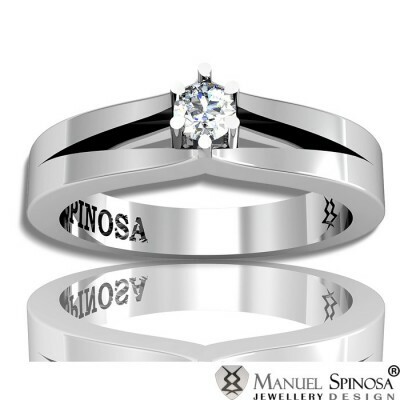 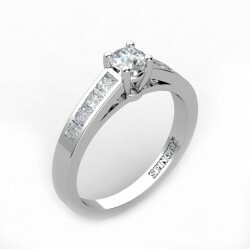 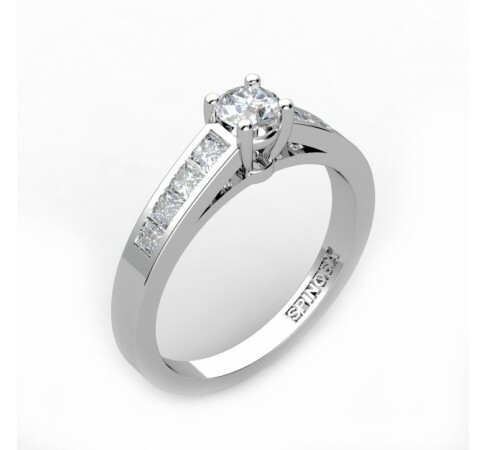 Original design with 8 princess cut diamonds 0.40ct H-VS on both sides and one central diamond. 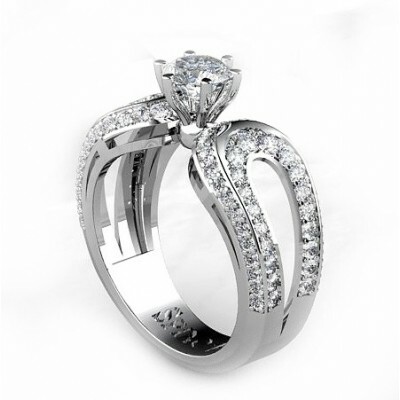 Elegant and modern design.